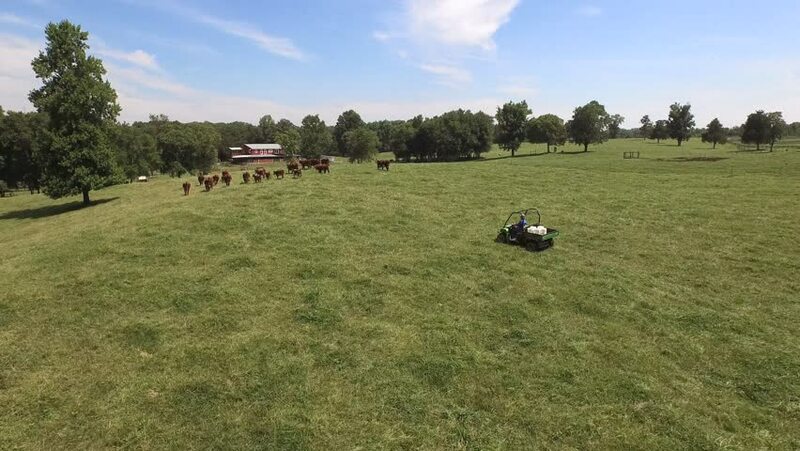 Aerial view of a farmer on a John Deere 4 wheeler chasing Hereford cattle with red barn in the background. 4k00:27Big grass cutter. Drone footage. hd00:11Drone shot of woman running on the beach in Virginia.